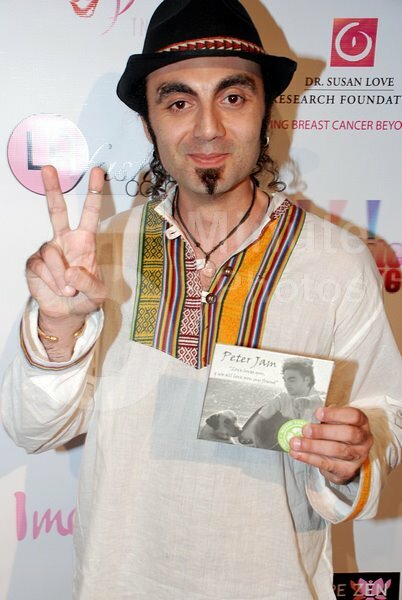 INTRO: Peter Jam (Jambazian) is a Lebanese-Armenian independent artist, global rights activist, singer, music composer, creative thinker, motivational speaker and inspirational world traveler for peace and justice, born in the midst of the Lebanese civil war in Beirut. PASSION FOR MUSIC: His passion for music and art appeared in his teenage years, despite growing up in a modest family during difficult times, he studied and experienced a wide variety of music styles from Oriental Arabic to Armenian traditional, and pop to blues/rock and metal. Peter began by specializing in guitar styles, and continued his studies to become a multi instrumentalist. At a young age Peter became a music teacher and band trainer. Peter Jam is now a musical composer/arranger and has created a unique musical genre, which is a mix of alternative and easy listening rock with 60’s and ethnic Armenian sensation. CREATIVE ACTIVISM: Influenced by all these music styles, and inspired by his experiences as a peace, environmental, human/civil and animal rights activist, which include “Europe Peace Tour” (singing the peace song “If You Want” in more than 20 countries across Europe and filming it), numerous appearances in festivals and the media (TV, Radio, newspaper, magazines) between Lebanon, Armenia, Europe and USA, he initiated projects holding the messages of Love, Peace, and Unity through motivational speeches empowered by meditative simplified philosophies. 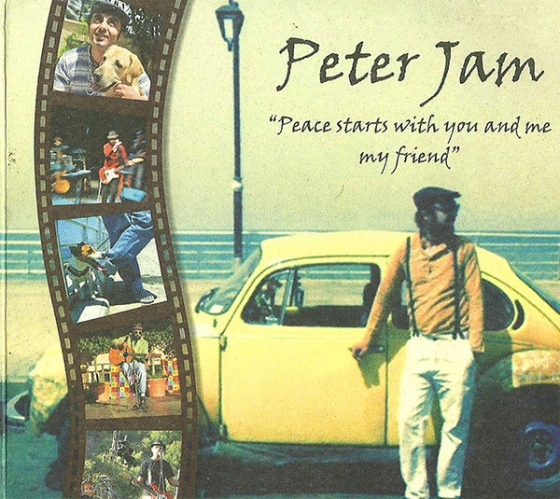 SPIRITUAL DEEPNESS: Peter Jam has moved beyond music and does speeches in places like UNESCO Palace in Beirut, UN complex (parliament) in Vienna and the UN headquarters in NYC. Also he is writing a book which is a spiritual intellectual view of his inner-self about the biggest issues and subjects in the world such as, views on Love, Peace, Freedom, Life, Time, Relationships etc… diving deep into history, religions, politics and humanity, showing his personal understanding, creating an inspiration to the readers to think different and act different for a better self and better world. CULTURAL DIVERSITY: Peter Jam speaks, reads and writes in 4 different languages, English, Armenian, Arabic & Turkish. Utilizing his cultural and musical backgrounds, he also writes music for films. He shows this extraordinary enlightenment in a new CD compilation which includes songs in some of the languages he speaks, using musical instruments from diverse cultures too (New album ‘Universality’ released Summer/Autumn 2014) embracing those cultures and sending messages throughout the world. THE WILL FOR CHANGE: Peter actively supports and cooperates with several organizations around the world, from human rights including civil rights, women and children’s rights to animal rights and environmental activism. Peter got recognized from renowned Organizations and always looks forward to be the inspiring hand that is always ready to clap, creating new bridges for better present and future, upholding all the organizations and individuals that believe in the Power of Will to Change.